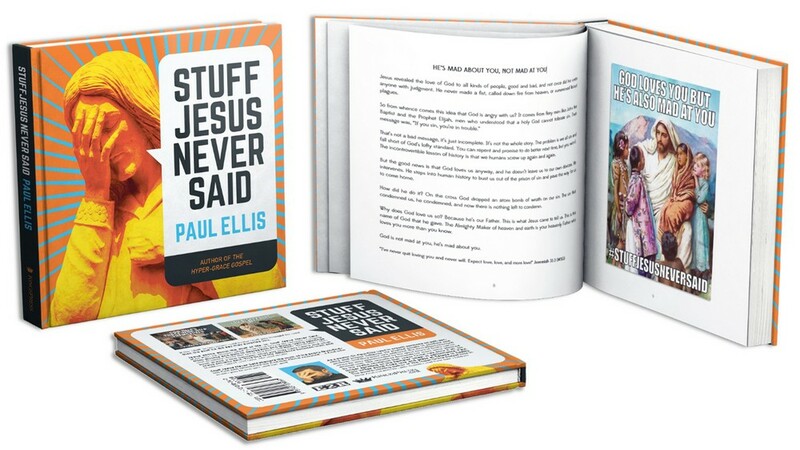 ‘Stuff Jesus Never Said’ – out today! My new book, Stuff Jesus Never Said, comes out today. 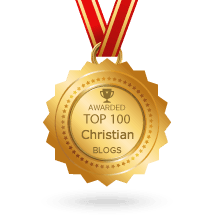 I know what you’re thinking: Why did I write a book about things Jesus didn’t say? The words of Jesus may be the most important words ever uttered, yet his words have been mangled in the machinery of manmade religion. For 2000 years Jesus has been misquoted so often that many of us are more familiar with the words he never said than the words he did. “You have the words of life,” said the disciples, but for many Jesus’ mangled words have become instruments of death. Words that used to comfort and heal, are now used to inflict pain and misery. Jesus spoke about the stuff of life. In this book I examine what he had to say on subjects ranging from divorce and guilt to depression and giving. I draw a line between the stuff Jesus never said (bad news) and the stuff he did (good news). Stuff Jesus Never Said separates truth from tradition, sweet from sour, life from death. It strips away the mumbo-jumbo to reveal that Jesus still speaks the words of life. This is a book full of paintings by the great masters and illustrations from the best Bible illustrators, and I’ve turned them all into memes. Why memes? Because memes, for better or worse, are the dominant pop culture art form of our generation. You can’t go on Facebook or Twitter or anywhere online without encountering them. Memes are everywhere. Just as Jesus told stories to convey truths about the kingdom, I’m using memes to say something about the gospel. It’s the ancient and eternal message in 21st-century packaging. But it’s not just a book of memes. There are also 60 brief chapters on the good stuff Jesus did say. I wrote this book for people who don’t go to church and those who don’t like to read. My heart is to get the gospel to those who most need to hear it. This isn’t a heavy-handed book. There’s no jargon and it’s not packed with Bible references. This is a book you can give away without cringing. But this is also a book for you and me. It’s a book that pushes us to examine what we believe in light of what Jesus said. My hope is that Stuff Jesus Never Said will help you rediscover the joy of Jesus’ words. It will leave you marveling in wonder at a good God who cares for you and wants the best for you. • The book is hardcover and full color throughout. It’s square, like a coffee-table book, and has a pop-art cover unlike anything you’ll find in Christian bookstores. • The format is new for me and, as far as I know, no author has written a book like this. I think even people who hesitate to read books will be engaged by it. • It’s confrontational, but in a good way. It’s humorous and honest. • This book will not be available in electronic format (Kindle, iBooks, PDF) anytime soon. Stuff Jesus Never Said is a book to be touched and shared. Stuff Jesus Never Said has been designed to be given away. Buy one from stuffjesusneversaid.com and I’ll give you another one to give away for free. Buy three, you’ll get five. Buy seven, you’ll get eleven. My hope is that you’ll order a bunch of them and distribute/sell/give away copies to your friends and colleagues. You might even want to give one to your pastor/bishop/pope/car park attendant. Books are shipped from California, so if you live in the US, you’ll get them quick. If you live outside the US, you’ll get them too – just a little slower. Incidentally, non-US buyers can get free shipping worldwide (but no bonuses) from the Book Depository. Don’t delay. Once this print run sells out it could be a while before we do another. 33 Comments on ‘Stuff Jesus Never Said’ – out today! You are absolutely correct. What a mess we have! There are two versions of Stuff Jesus Never Said. The book that is available from the book website stuffjesusneversaid.com is of the highest quality – best inks, best paper, best binding, etc. In contrast, the version you get from Amazon and other chain retailers, while still excellent, has been digitally printed. Everything is still in full color but the colors are not quite as vivid. Hi brother Paul, thanks for the awesome work. I just finished going through it! Beautiful, praise the Lord! I wanted to ask if you were looking into translating it into Spanish? Let me know, I’d love to help you out with this. You are amazing in His sight! WOWW! evangelism on another level. I’ll write a review on it. Thank you, Paul!!!!! I have been looking for a resource like this! This great book, as it appears to me, not having yet read it, is about 40 years late. I am 55 years old as of August 17. When I was 15 years old I returned to church due to the influence of the singing of our mother. She sang church hymns in the house. I had a wonderful time experiencing the love of God by the direct influence of the Holy Spirit. I was full of joy and the peace of God in those days based directly on God’s dealings with me, which caused me to have had a desire to draw nearer to Him. I used to sense the presence of the Holy Spirit very deeply, which caused me to sing, play my harmonica, and preach to the trees while caring for my brother’s goats. As I started to hear debates, discussions, and explanations about matters of salvation, that beautiful joy of God, I felt, began to diminish of its original intensity. Instead of pouring out their hearts’ praises to God for His love and free gift of salvation, it seemed to me that local people, pastors, elders, and lay members in many circles were causing people to become self conscious of their works, what they need to do and what they did not do, etc. The dangerous element I sensed in these kinds of discussions, which I still hear in some preachers’ sermons is that I had to do something or some things in order to be saved, although I had already come to God, based on a natural, native understanding of His love, which had a far more liberating appeal and calming effect on my life than the death dealing element of concern I was being fed by humans, in their religious arguments, teachings, preaching, and debates. The claims and aims of your book, Mr. Ellis, are still appealing. I’d like to get it. By it, may the Lord continue to heal the damage that ignorance of His word had caused in my life. Thank you, Sir. Mr. Paul Ellis, I did order your book today. I wanted just one copy for now, but I did not get that option, I think. I took the lowest number option to get 3 copies. I think you had stated the get one option, but maybe I misunderstood what was stated. I wanted one copy to get two. But it seems that I am getting three. Not sure. But I am glad I ordered the book. Thanks again. You give no option box to order one (and get two). You can find that option listed on the order page (under the black boxes). Thanks. Not trying to be a fault finder, see a typo on page 78 – top of the page – Sing, instead of Sin. I really want the book, but I can’t afford it. Will u send. Me a free copy? Hi Paul. I’m a Indian. And i try finding your books but they aren’t available. Even if they are, they are very expensive due to their forgein publication. Could you try to publish your books and make them available in India too ? It saddens me that my books are expensive by the time they get to places like India or the Philippines. What has happened in the past is that motivated individuals have signed license agreements to produce my books in those countries very cheaply. We can pray that also happens with this book. and one can idolize very well without an image. Calvin himself has been idolized in certain circles. I’m in Ghana, Africa and I have never seen any of your books in any bookshop. I always hope to read your books but I don’t get them but I surely believe that one day I will get all your books and read. Abba bless you for such a wonderful book. The title of the book is catchy. I want to know if I can get a link to download any of your books online? You can find all purchase options (including PDF downloads) at kingspress.org. Thanks. Paul, Just received my 5 books! Awesome!!! Leaving soon for our yearly mission trip to Rwanda to love on the widows & orphans and will bring two books to give to our hosts. We will be ordering more to give to friends & those that help support us! So Good!!! Future thought- is it possible to add QR Codes to those pages that relate to those similar minded E2R posts? That would be great to help people go deeper in each topic of your book, while quickly getting them to the website and specific post! Thanks for being a Kingdom Guy & being a blessing to His body! Hi Gary, that is a great idea about the QR codes. Wish you’d mentioned it six months ago. 🙂 We’ll definitely keep it in mind if we do a second edition. What you are doing in Rwanda sounds amazing. Have a blessed and awesome trip. Hi Paul, Here’s hoping you get to print a second edition! 👍 Thanks for the travel blessing! What is the price per copy of Stuff Jesus Never Said? If you click on the book above you’ll be taken to the book website. Thanks. Oops. That was funny. I’ve just run a half marathon so I’m a wee bit weary. The boo-boo is fixed. are we going to be able to buy it here in NZ from Christian bookstore(s)? The cost to get it shipped is more than the cost to buy it. In NZ you can get it from Castle Books, but I’m not sure how much stock they have left. Just got tangled up in your article derived from Andrew Womack’s Book ” A Better Way To Pray” …and I must say the article was fantastic. It literally boosted My Faith….like, way boosted it. Of, course I understand, the Spiritual Principles come from the Word. Matthew 4:4 Man shall not live by bread alone, but by every Word that proceeds from the mouth of God. But you are being found Faithful, boldly declaring the Truths in the Very Word of God. It begs us to think of Moses, and God handing down His Word on tablets to His people. Also, as the scriptures plainly declare. So, journey on my friend, pointing The Way to “True North”, which is our Lord and Savior Jesus Christ.